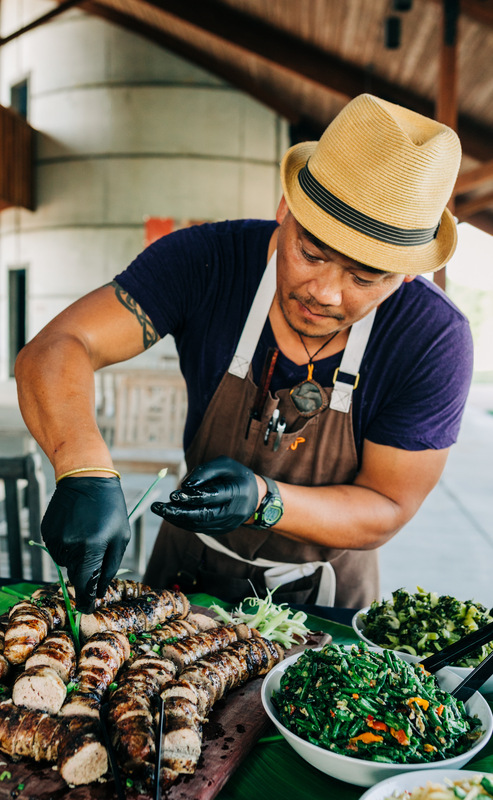 Powell Gardens has worked with top area chefs to host barn dinners in the Heartland Harvest Garden for several years, but this season, we are putting a new spin on our culinary offerings. The goal is to deepen our relationships with select culinary and beverage experts to better showcase their creativity and connect their story to the gardens. In 2018, we hosted 14 culinary events that reflected the farm-to-table philosophy and the use of local, garden-grown ingredients. We started sharing information about the Heartland Harvest Garden at these events to show how chefs are inspired by featured ingredients grown by our expert horticulture staff. Now we are expanding this story by framing our culinary offerings under the umbrella of a “chef-in-residence program.” We will work closely with four chefs and three beverage crafters as a collaborative exchange—they will present an educational experience, event, or ideas for using Powell Gardens produce to the public — for a weekly or monthly Powell Gardens CSA box crafted just for them. We will present twelve to fourteen culinary experiences for the public. In February, Chef Robert Brassard and the culinary expertise of the Broadmoor Bistro and Shawnee Mission School District Culinary Arts program hosted a “Soup’s On” workshop in Kansas City, in which each participant made and took home five quarts of soup and recipes to make more. Chef Brassard and company also hosted the traditional Wassail dinner at Powell Gardens. Chef Renee Kelly and some of her hand-crafted bites are a featured culinary component of the April 6 Frida Style event. Be sure not to miss the day-long fun of Fungi and Fermentation May 4 in the Heartland Harvest Garden. We will spotlight the expertise of chef Anourom Thomson, who will demonstrate how to prepare fermented greens and padek (Asian fish sauce.) You’ll also be able to taste hand-crafted beers from Crane Brewing (and much more!). The public CSA program is taking a break this growing season, but the produce Powell Gardens grows in the Heartland Harvest Garden is still available to the public through the artistry of these select local experts. 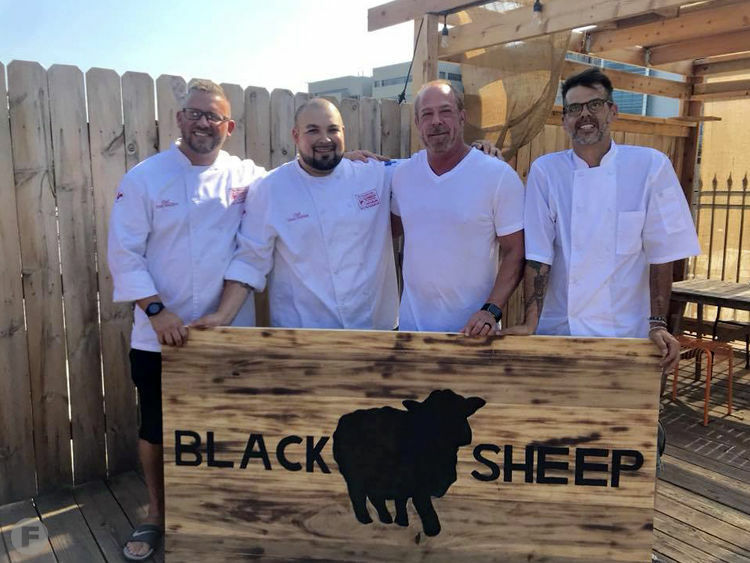 One of the best ways to get a taste is to patronize their restaurant or food truck or sign up to take part in one of our 2019 culinary experiences. Look for additional information about what inspires these chef-in-residence partners on four new interpretive panels at Powell Gardens in the Villandry of the Heartland Harvest Gardens. The text panels tell the story of our 2019 growing themes: Global Flavors, Fermentation Field, Seed to Plate Education, and Farm to Table. From the heat of sriracha to the fragrant sweetness of vanilla to the “umami” (the hard-to-define, delicious, savory quality) of soy sauce, American diners are craving increasingly bolder flavors. Luckily, exploring the unfamiliar ingredients used by diverse cultures has never been easier thanks to cooking shows, social media, internet recipes or popular dishes served at restaurants. By sharing recipes and techniques, chefs with deep ties to global cuisines can inspire backyard gardeners and home cooks to travel the world without ever leaving home. Chef Anourom Thomson of Anousone’s Mobile Cuisine came to the United States from Laos as a young boy. He uses lemongrass a tropical herb that resembles an ornamental grass and offers a citrus note to flavor a pungent yet deeply delicious fermented fish sauce popular in Laotian cuisine known as padek, a key ingredient used in the spicy green papaya salad tam maak hoong. When chef Bob Brassard gives a high school culinary student a tomato, he expects them to turn it into soup, salsa or sauce. The Shawnee Mission School District culinary program also teaches them how to turn cucumbers into refrigerator pickles, basil into pesto, kohlrabi into slaw, okra into succotash and peppers into tongue-tingling hot sauces. Brassard’s award-winning Broadmoor Bistro program is a national leader in seed-to-plate education, a movement that seeks to integrate the values of growing and eating healthy food into the K-12 curriculum. Powell Gardens seeks to reinforce such efforts by providing a place where students can learn where their food comes from through hands-on gardening experiences, including sowing seeds, harvesting, preparing and eating what they grow. Broadmoor Bistro students learn how to grow and harvest food on the school’s urban farm then prepare restaurant-quality meals in a state-of-the-art commercial kitchen. Students host monthly public dinners and sell canned and baked goods at the Overland Park Farmers Market. Boys Grow is a work-study program for urban youth interested in exploring farming and agriculture by working on a 10-acre farm. The program includes mentorship in business, marketing and public speaking through the production of salsa, ketchup, mustard and tzatziki sauce sold at local grocery stores. This garden tells the age-old story of our favorite fermented beverages, and includes grains, hops, fruits, vegetables, herbs and other botanicals useful in crafting and flavoring beer, gin and vodka and other distilled spirits. Fermentation is a natural chemical reaction caused by enzymes produced by bacteria, microorganisms or yeasts. Using wild yeast and souring bacteria, Crane Brewing Co. in Raytown crafts three main styles of beer: Farmhouse Ales, Berliner Weisses and American Wild ales. Co-founder Michael Crane hopes to create his wildly popular seasonal beet Weiss using Mammoth Red Mangel beets which will give the beer an earthy flavor and brilliant red color. This variety, which has been around since the 1800s, grows to gigantic proportions (up to 20 pounds each!) but remain tender and deliciously sweet despite their size. Each year Crane uses about 1,000 pounds (or a pound per gallon) of beets for the fall release. Crane originally home brewed a beet cream ale after his son, who is a vegetarian, suggested the combination. That was in 2011. Last year Wine Enthusiast listed the beer No. 3 in the world and Men’s Journal ranked it the No. 1 beer in Missouri. TILL American Wheat Vodka: Locally sourced from Kansas wheat, TILL Vodka is smooth and full-bodied and shares a “farm-to-cocktail” philosophy that complements Powell Gardens events, including the popular Cocktails & Constellations. Tom’s Town: The Tom’s Town distillers have used hardy orange, an ornamental citrus species, and dill, juniper, sage, fennel, coriander and blue spruce tips to create garden party gin for various events. Boozy Botanicals: Former lawyer Cheryl Bisbee uses herbs and other botanicals to enhance beverages and cocktails crafted using her botanically-infused syrups. Farm-to-table describes a social movement focused on creating a direct link between consumers and farmers. At many restaurants, school cafeterias and hospitals across the United States, a delivery truck drops off everything from meat to milk to fruits and vegetables. Convenient? Yes. But chefs who practice farm-to-table sourcing prefer to establish direct relationships with farmers (usually small, local operations) to promote greater food safety, better nutrition, seasonal flavor and freshness, as well as environmental and economic sustainability for their customers, community and the planet. Foust starts the exploration process of a new and unfamiliar plant by breaking down leaf, stem, bud, seed and roots and tasting each raw (if edible), then he works on cooked versions. When he finds a flavor or texture worth sharing, it will show up on one of his restaurant menus. Robert Brassard, Broadmoor Bistro and Shawnee Mission Culinary Arts Program; chef Michael Foust, Farmhouse and Black Sheep + Market; Renee Kelly, area chef and TV personality; Anourom Thomson, Anousone’s Mobile Cuisine; Tom’s Town Distilling Co.; Till Vodka; Crane Brewing Co.; and Boozy Botanicals.